You are here: Home / General Information / Animals Today September 15, 2018: Cosmetic testing in California. Allergies in cats. Paul Rodgers, animal advocate. Hot animal news. Animals Today September 15, 2018: Cosmetic testing in California. 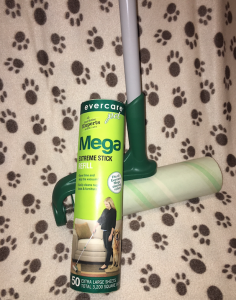 Allergies in cats. Paul Rodgers, animal advocate. Hot animal news. In California, a bill is headed to Governor Brown’s desk, which will ban the sale of cosmetics if the final form of the product or any of its ingredients were tested on animals. Elizabeth Baker, Regulatory Policy Director for Physician’s Committee for Responsible Medicine, joins Lori to describe how the bill evolved and how the law would function. Since California is such a huge market, the ban, which would go into effect in 2020, is expected to have a significant ripple effect across the nation. Then Lori welcomes back Dr. Doug Kunz to cover many aspects of allergies in cats. Allergies in cats are not as common as in dogs, but they bring similar challenges in diagnosis and treatment. Dr. Kunz is Medical Director at VCA Desert Animal Hospital in Palm Springs, California. 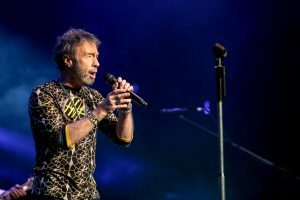 Peter then welcomes rock superstar Paul Rodgers and his wife, fitness guru and former Miss Canada, Cynthia Kereluk to talk about their deep advocacy for animals. 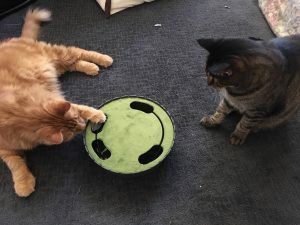 In this interview, they share what inspires their compassion toward animals and encourage people to help alleviate animal suffering. Read more about Paul’s impressive musical career here, and check out two of the sanctuaries he and Cynthia strongly support, Aspen Valley Wildlife Sanctuary in Ontario, CA, and Willows Animal Sanctuary in Scotland. In the final segment, we talk about our relationships with our pets, a dolphin super pod caught on video, a huge python on the loose in Poland, and more news stories from around the globe. 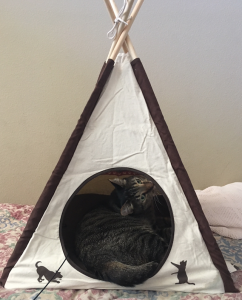 During this show, we also reviewed three products, the Evercare Pet Extreme Stick Lint Roller, the Peek-A-Boo Mouse Interactive Cat Toy from P.L.A.Y., and the Pet Teepee, also from P.L.A.Y. 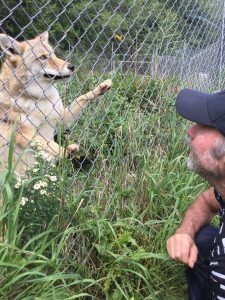 Paul Rodgers with animal friend at a sanctuary. 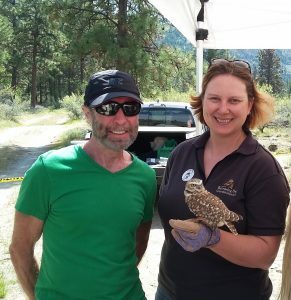 Paul Rodgers meets a Burrowing Owl. Peek-A-Boo Mouse Interactive Pet Toy.